You may have read my recent post about buying more quality products and not just buying cheap products for the sake of a deal. This wasn’t to say that I am not going to be trying affordably priced products. In fact, I want to find the very best deals at the affordable price points so I can avoid wasting money on products that only differ in price- not quality. 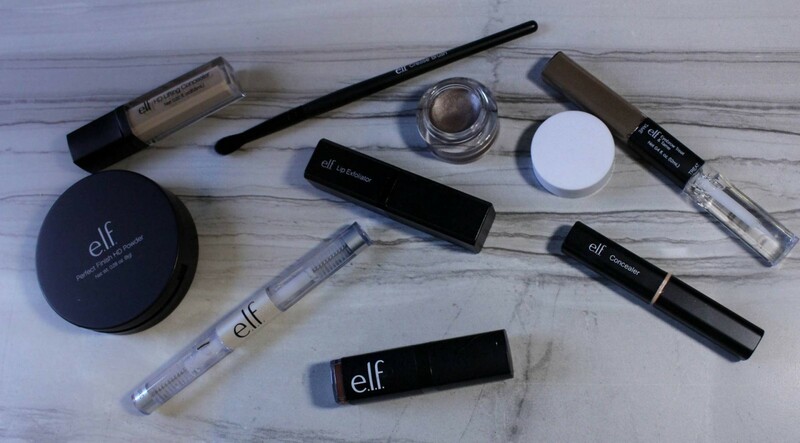 So I tried out a selection of ELF products to see whats super and what you can skip! First up three skin products! I got this product is the shade ivory which appeared to be the lightest shade. This was a stick concealer that unfortunately was to dark for my pale skin. 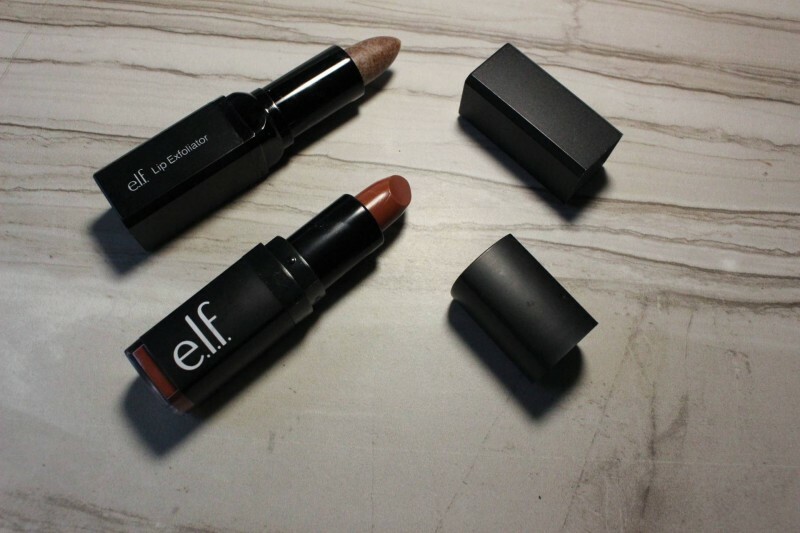 There is a very slim color so you have to be one of the lucky few to find a goo shade match with ELF. I found that this stick concealer was not to my liking. It was very warm toned, which is not my preference, but it was also not very blendable. 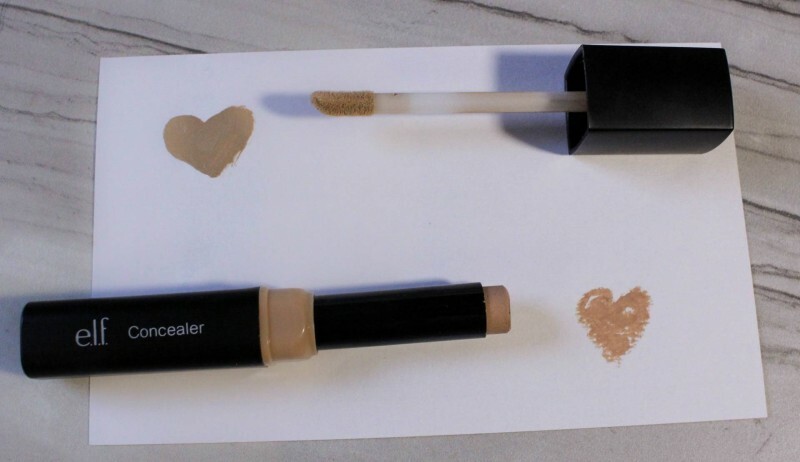 This is a liquid concealer with a doe foot applicator. I got it in the shade fair which, while being the lightest shade offered was still much to dark for my skin. It was also more olive toned than I was expecting. I found that this concealer was only average, not particularly blendable and only moderate coverage. 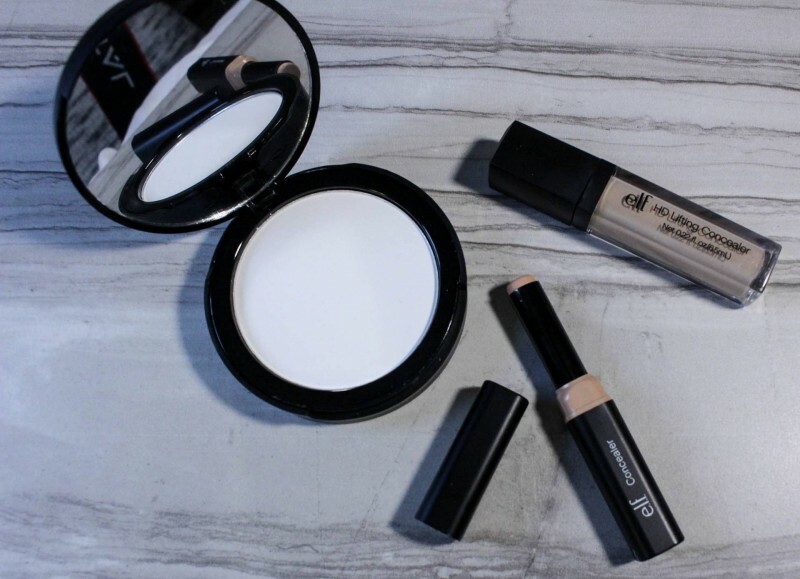 I use a less expensive drugstore concealer regularly which does just better for my skin. I use translucent powder in my everyday routine so I was very excited to try this product. There is a nice large pan with a very nice quality sponge. I have been pretty pleased with this product overall. This a true white based translucent powder so you do need to make sure it is blended properly to avoid a white cast in flash photos. Verdict: It’s a good option. If you are looking for a setting powder this is one to try. 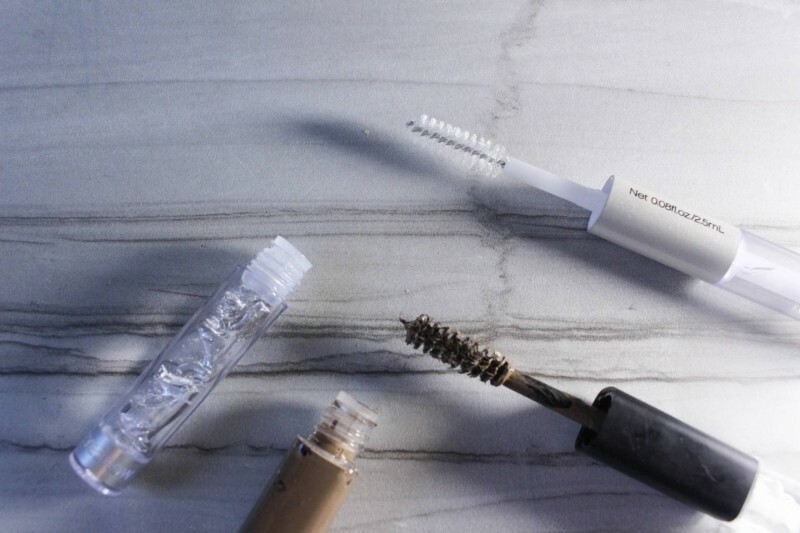 Next brow products! This is one of the better products in the haul. I don’t use clear mascara so I can only report on the brow gel. This is a great product for the price point. It does not have the finest applicator but if you are like me and brush your brows beforehand then it isn’t a big issue. It lasts all day as well! I have not used colored brow gels in the past so I purchased this product on a whim. To be honest I was pretty disappointed. Every time I use this product I end up with the brown gel all over my forehead and eyelids.Maybe if I was more experienced at using this type of product it might be a bit easier but I had no success with it. I haven’t seen any difference from using the brow treatment but it may take longer to work so I don’t have a definite opinion with that. I am not an avid cream shadow user, however, this is definitely my favorite of the ones I have tried. It is a gorgeous taupe that is easy to build. This brush has also become a part of my daily routine. It is perfect for applying and blending your crease shade. Not all ELF brushes are made equal but this is one of the good ones! Last,but not least – lips! Despite the title this is not a true matter lipstick. After several attempts I can firmly say that no matter how long you wear it it never dries down fully matte. That being said, it is a pretty nice lipstick. I have tried their moisturizing lipstick several times in the past and this is definitely a superior product. I have been in a liquid lipstick phase for the past few months so the fact that I’m even wearing it speaks to the quality. Once again there is a slim color selection. Verdict: Super – if you can find a color you love or you want to try a new color without a huge investment this is a great place to start. I would say that of all the products in this haul this is the one I have used the most. The stick format really helps to control the application, most scrubs can get everywhere if you aren’t careful. Make sure you wet your lips before use as your would with any exfoliant. So there you have it! Have you tried any of these products? What did you think? 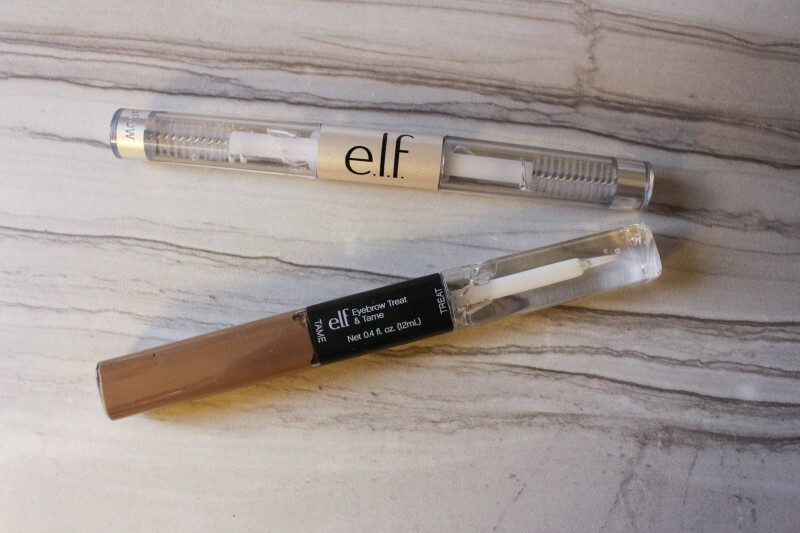 Are there any other ELF products that you think are a great value? Make sure to let me know in a comment below! The views expressed in this post reflect my personal experiences with these products. If you have had different experiences I encourage you to share them in the comments below so readers can be as informed as possible. Previous Post February Boxycharm | Best or Bust? I used to really like ELF but they are a bit hit and miss with me in recent years. The stick was OK – not amazing coverage but the color started off too warm and continued to oxidize and get more orange! Not a good look. The cream shadow I would definitely recommend! The smudge pots are even better than the long-lasting lustrous shadows from ELF (which are more expensive!) Let me know how it turns out for you! They do have some good stuff! You just have to find the products that work for you! Ohhhh I want to try that finishing powder. I use their loose powder and I like it but there are some pieces that are not as finely milled and leave little chunks on my face so I have to go back and wipe them off haha. Not cute. I actually love that powder! I use it almost every day! I much prefer it to the loose powder!